It was a quiet CES for mobile this year, but even a quiet CES is a busy one. Though big players like LG and Samsung seem to be holding out for Mobile World Congress in late February, up and comers like Sony, ZTE, and Huawei announced a number of new flagship devices. Below are our picks for the best mobile products and companies at CES, which was a show filled with bigger phones, new operating systems, higher resolutions, and bold statements. Check out more top picks in our best of CES 2013 rundown. Is 6.1-inches too big for a phone? The trend toward larger and larger phone screens is getting a little ridiculous, but we have to admit that the Ascend Mate is doing a good job convincing us that 6.1 is just right … if you’re a fan of the “phablet.” The design is streamlined and slim, and the body curved for comfortable holding. Beyond that, the Mate is an Android lover’s dream: full HD screen, 4050mAh battery, and a 13 megapixel camera. This smartphone has all the right moves and its a bold move for Huawei, a Chinese manufacturer just starting to find its brand around the world. 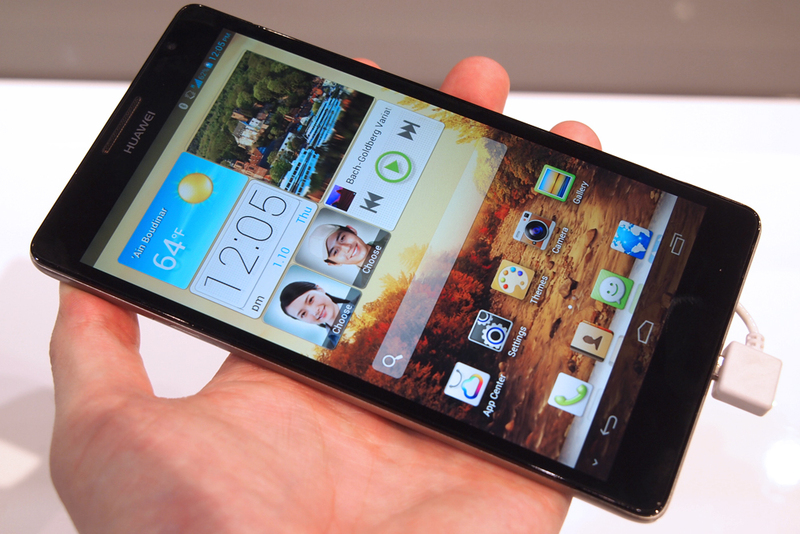 Read our full Ascend Mate hands on. BlackBerry 10 wasn’t formally a part of CES this year, but RIM was in town anyway, showing off the latest, near final version of BlackBerry 10, which launches on January 30. What we saw was impressive. BB 10 doesn’t completely reinvent the wheel, but it combines a lot of winning interface ideas from WebOS, Android, and iOS. In our short time with the device, we were impressed by how well its universal inbox managed everything from email to social notifications, how easy it was to manage open apps, and how well the entire interface flowed together. Like Ubuntu and Firefox OS, BB 10 plans to challenge the duopoly of Android and iPhone. With an interface that’s more appealing than Windows Phone, we think it has a chance. Read our full BlackBerry 10 hands on. For the past year, Sony has been making solid progress with its Xperia brand in the United States and we’re hoping the Xperia Z will help it kick things up a notch in 2013. The Z follows the new phone trend of 5-inch 1080p screens, quad-core processors, 13-megapixel cameras, and thin 8-9mm frames, but also packs in a waterproof (resistant) design, allowing you to fondle your phone in the bathtub, shower, or whatever other place you can think of. 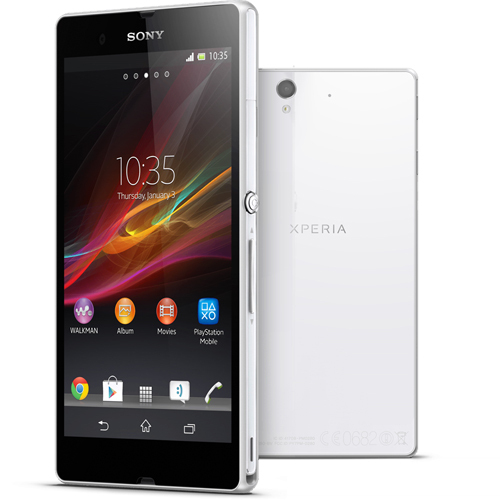 The Xperia Z may be the first major phone in the U.S. with waterproofing tech built in. Read our full Xperia Z hands on. T-Mobile USA didn’t show off any new devices at CES this year, but its new CEO John Legere made waves nonetheless. The new CEO unveiled a contract free $70 unlimited data, voice, and texting plan, but that wasn’t all. In a rare sign of honesty and hilarity, he took direct shots at all the competition and laid out T-Mobile’s new mission to undo many of the horrible practices in the wireless industry, like subsidizing devices, 2-year contracts, moving devices between carriers, etc. With an agressive 4G LTE rollout plan and an already fast HSPA+ network, we’ve begun looking at T-Mobile as a major player again. Read our thoughts on T-Mobile’s new CEO. 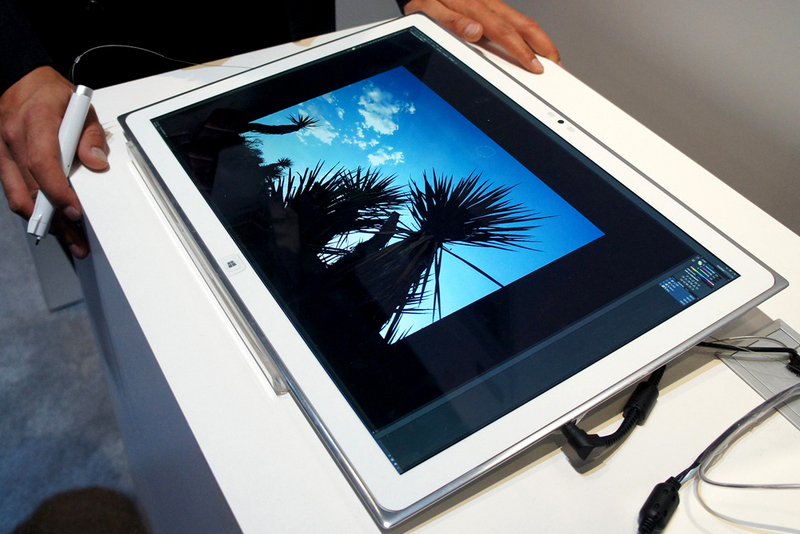 This device stretches the definition of “mobile” a bit, given its massive 20-inch screen. But it is a true tablet and it is portable, even if most people will only port it around their home or office. The gimmick here is the 4K resolution. This is the same resolution we’re seeing on flagship HDTVs, but it’s in a device that weighs around 5 pounds, runs Windows 8, and sports a touchscreen and digitized pen capabilities. It’s a multimedia beast that would make an excellent digital gaming table, though it’s more likely destined for high-tech offices. Read our full Panasonic 4K tablet hands on.